Toasteroid Prints Custom Images On Your Bread | OhGizmo! By David Ponce on 08/09/16 • Leave a comment! 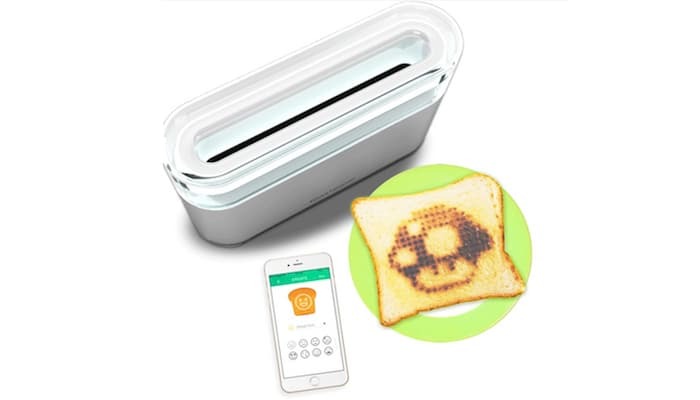 We’ve seen toasters that can print a specific image onto your toast by using a custom shaped heating element. Heck, just last month we wrote about a Death Star Toaster that printed a TIE Fighter on your bread. The thing about these is that the image is fixed, and will always print the same thing. 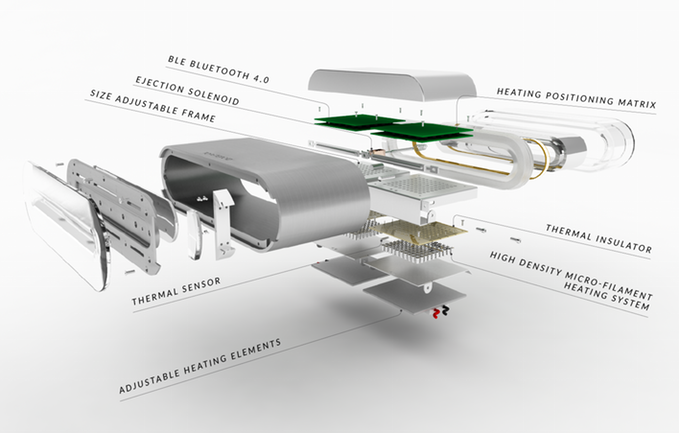 Toasteroid however is a “smart” toaster that connects to your smartphone through Bluetooth and is able to print just about anything by using a “high density micro-filament heating system”, a kind of dot matrix heating element. The app lets you create your image, and upload it to the toaster, which then just browns your bread and brands it with your creation. Precise browning control is a feature, as is optional synchronization to a weather forecast service that can print its output directly on your bread. 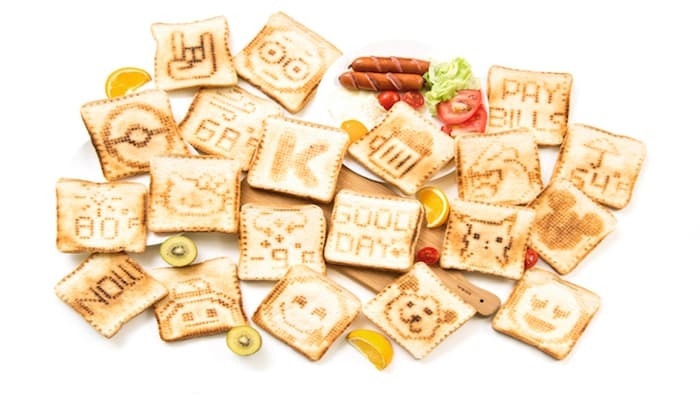 The possibilities are endless and if you have children or loved ones (and who doesn’t), consider how fun you could make their mornings by printing custom notes for them on their food. Prices start at $79 for Early Birds, and goes up to $85 afterwards.